Today we have an exclusive note on this blog, but hopefully this can be known through the “mainstream media” too: the Mexican Superior Audit of the Federation (“ASF” in Spanish), in its “Report of Supreme Audit Results of the 2011 Public Account” delivered last week to the Chamber of Deputies, gave a stern “recommendation” to the Bank of Mexico (Banxico). The reason is one of the most important issues we have addressed here: the gold reserves of our country. As you may recall, last year we informed that after four months of legal wrangling with Banxico, it was forced to give us the information we wanted (that of course they did not want to disclose), about the supposed physical location of Mexico’s sovereign gold holdings. Thanks to that, we found out that 95 percent of the Mexican gold reserves (about 125 tonnes) were abroad, and almost all (99%), in London, England. Well, the ASF documented the purchase of 100 tonnes of gold that was made in 2011, for a total of 4,543 million dollars. 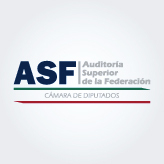 In its report, the ASF says that a confirmation of the operation was made with the counterparty, but also “found that Banxico has not conducted physical inspections to gold to verify compliance with the terms of acquisition and the conditions regarding its storage, in order to be certain of the physical custody of this asset.” Our emphasis. Moreover, the central bank only has documents which establish the terms and conditions, the dates of the transactions and payment vouchers. That‘s all. In other words, Banxico invested 4.5 billion dollars and released the money without making any confirmation of the existence of the gold purchased, or of the location of the vaults where the gold bars were supposed to be held. Mere “paper gold”. The ASF states that the Central Bank gave them some arguments on why they did not consider any verification as necessary, and assured them that the gold reserves were under the custody of “a prestigious financial institution”. It seems that Banxico has a “blind faith” regarding such an institution. According to the report, the Bank of Mexico said that the metal seller “only” offers services to other central banks and monetary authorities, and “places gold in custody in a bank of the United Kingdom” who “sets strict standards for weight and purity which gold bars must meet, in order to be received under custody.” Almost a religious act for Banxico. In this blog it’s been documented that this custodian is none other than the famous Bank of England, which is supposed to provide its services on an “allocated basis”. That is, that customers have, or should have, a list of every ingot owned with serial number and stamped certifications of purity. Banxico has none of these lists. Last year it could not answer a single question made by this journalist, through a legal “Request for Information”, about the number of bars that make up the Mexican gold reserves. The central bank only said that “due to the variability of the content of gold in the bars, it is not possible to specify with certainty the exact number of bars purchased.” Oops! All this makes us wonder if Banxico is really complying with the mandate of Section I of Article 19 of the Bank of Mexico Act: that the reserve shall be composed of “The currencies and gold owned by the Central Bank, free of all liens and whose availability is not subject to any restriction”. Is there no restriction on gold bullion that has not even been proved to exist? Isn´t Banxico breaking its own law? The institution headed by Agustin Carstens wished to be excused for this irregularity, and reported that it is a common practice to perform such operations, and that an inspection such as that recommended by the ASF would have a “significant cost”. Nevertheless, the ASF has insisted under its official “recommendation” number 11-0-98001-02-0154-01-001 (they made only two recommendations, and this was the first): Bank of Mexico should “make a physical inspection with the counterparty that has the gold under its custody, in order to be able to verify and validate its physical wholeness and the compliance with the terms and conditions of dealing with this Asset…” It was verified by the ASF that this has never been done by Banxico. No doubt. This is very delicate and Banxico has gotten into this problem unnecessarily. Therefore it is important for Dr. Carstens to stop being evasive and decide not only to verify our gold but to order its complete repatriation to the country. It would not be the first nation to do so. This is the very same story that Germanylived just months ago. There, the German court of auditors (Bundesrechnungshof) demanded also in 2012 that the Bundesbank undertake an audit of its gold reserves. By the way, a German parliamentarian, Philipp Missfelder, wished to inspect the German gold bars held at the N.Y. Fed, and the N.Y. Fed could not, or did not wish to, tell him which bars belonged to the Germans. Now we know that the Bundesbank has taken the right decision to repatriate to Frankfurt at least a small part of its gold reserves held in NY, and all of the reserves held in Paris. In Mexico we need to bring home all our gold. These ingots are national treasures and we should claim them as an act of sovereignty. There is no reason for them to remain abroad. Instead of selling our golden reserves, as Banxico has been doing for several months now, it should take this buying opportunity to acquire much more. In this blog, we’ll be informing in the weeks to come if these gold bars have been located in our Mexican territory, Englandor NY. Meanwhile, we have to remember that this global financial crisis is far from over, and that it is essential for us to have “in hand” the small gold shield we decided to buy. Not doing so means that we are unnecessarily exposed to expropriation and the real possibility of waking up tomorrow with a “hang over”, after a “dream of gold”.